What is the capacity of the Lodge? Dorm? 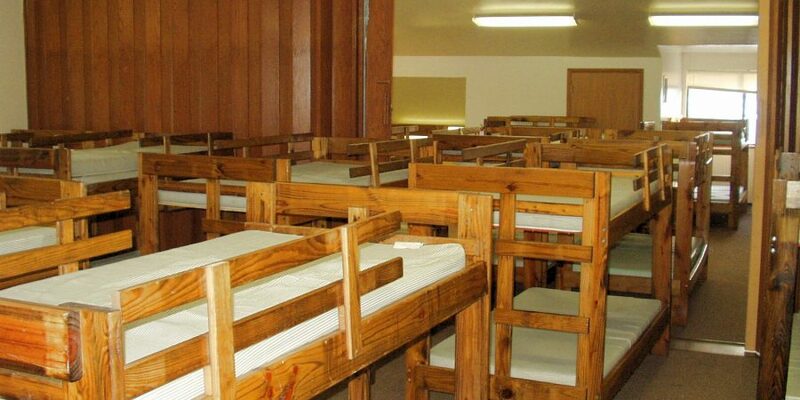 Daniel Retreat Center? Cabins? The private rooms in the Lodge have a capacity of 28, the Daniel Retreat Center can sleep 36, the Lodge Dormitory has two rooms that sleep 20 each for a total of 40. Each of the 15 cabins sleep 10. The cabins are arranged 3 cabins per triplex building with a door between each one.